Professional Data Recovery service in Noida. Stellar Data Recovery center in Noida offers a wide range of data recovery services to recover data from Hard Drives, SD Cards, RAID Servers, Solid State Drives (SSD), Pen Drives, DVR, Flash Drives, and all types of data storage devices. We are only one of the ISO 9001:2015 & 27001:2013 certified data recovery company in Noida. We recover data from logical failure hard drive (formatted hard drive, corrupted hard drive) and physical failure hard drive (damaged hard drives, burned hard drives, broken hard drives, not detected hard drives, and water damaged hard drives etc.). We recover deleted, lost and damaged data from all type of - SD card, CF Card, SDHC Card, SDXC card etc. We have already recovered deleted family photos, corrupted memorable videos and other important data from Kingston SD card, Sony SD card, Samsung SD card, SanDisk SD card, Transcend SD card, Lexar SD card etc. 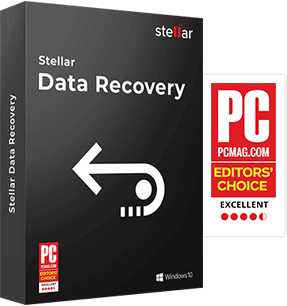 Stellar's data recovery engineers have the capability to recover your files from damaged and corrupted monolithic pen drive and PCB flash pen drive. We can recover your documents, photos, movies, video, and music files from all the data loss situations. We have recovered ransomware infected data for many organizations, SMEs, individuals, professional photographers from all types of ransomware attack. We offer accurate and cost effective Data Recovery for Ransomware infected files and folders. Stellar offers complete USB Flash Drive Data Recovery service in Noida. We specializes in recovering data from all types of removable USB storage devices including Compact Disc (CDs), Digital Versatile Disc (DVDs), Blue Ray Disc, External Hard Drives, USB Pen Drives, USB Flash Drives, SD Cards, Memory Cards, Memory Sticks, Flash Drive, Solid State Drives (SSDs) etc. 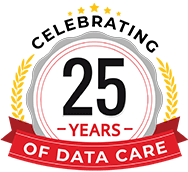 Our Noida data recovery center also offers a wide range of data recovery solution for corporates as well as individuals such as CCTV data recovery, DVR data recovery, flash data recovery, tally data recovery, SSD data recovery, laptop data recovery and many more. Our DIY data recovery software only works in logical data loss situation (deleted data, formatted data and corrupted data). We offers a wide range of data recovery software that supports multiple types of operating systems, multiple file types, and multiple devices. Our data recovery software are also capable of repairing corrupted photos and videos. They are 100% safe, secure and easy to use data recovery tools. 5/5 April 12, 2019 Stellar Information Technology did a fantastic job in recovering all data (especially the critical data) from one of my 'External Hard Disk'. 5/5 March 29, 2019 I am delighted with the professionalism & excellent customer service orientation of Stellar. They displayed it in each interaction both over the phone & in person. Would like to specially mention Parul, Faiz & Ekparna who did a marvellous job of addressing my issue. Kudos. 5/5 March 08, 2019 I want to thanks Stellar for recovering my valuable data. My data got ransomware virus affected, and I got to know about Stellar for a data recovery centre, and I am fully satisfied with the recovery as I have got my complete data back. 5/5 March 06, 2019 I am happy that I am getting all my data recovered. I will recommend to all my friends and colleagues for recovery purpose. Great job Stellar Data Recovery.